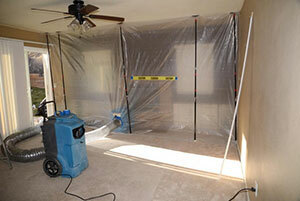 Mold removal and remediation are significant concerns for every homeowner. Mold can impact both the structural integrity of your home, as well as the health of its residents. It is a substance that feeds on organic matter like wood, paper and fabric. Mold releases toxic spores that can travel through the vents of your HVAC system until they are present in every room of the house. If left untreated, mold will literally eat away at building materials that include wallpaper, drywall, carpet, wooden studs in walls, ceiling tiles, floorboards, and other structures inside your home. Mold growth can cause ceilings to collapse or walls to topple. Depending on the type of mold in your home, the potential health risks run the gamut from respiratory problems to cancer. Because the stakes are so high, you need a proven professional that can eliminate your mold issues and prevent them from returning. 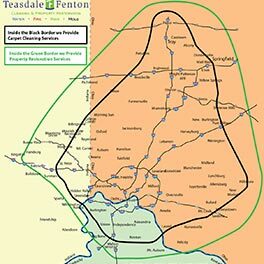 Teasdale Fenton offers unmatched mold remediation services to homeowners and business owners throughout the Greater Dayton, Ohio area. Our mold remediation team has restored affected homes and businesses many times and with 100% success. We work in conjunction with you, the property owner, the insurance representative and an industrial hygienist to formulate the most effective and efficient course of action following the IICRC S520 guidelines. The highest level of care is required in the handling of the mold-affected area, including containment of the area and protection of all people in it. By taking air samples before and after cleaning, we ensure that not only the structure is remediated to acceptable levels, but also the contents of the affected area. We stay current with the latest methods of handling mold, assuring that we can return your property to its original condition to your complete satisfaction. When you need mold remediation services in Dayton, OH, you can count on Teasdale Fenton to make things right again at your home or office. 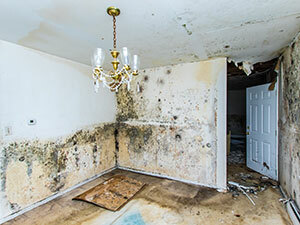 The mold remediation process is a serious issue and Teasdale Fenton offers lasting solutions for our customers in the Greater Dayton, Ohio area. When you need our services, contact us online or give us a call at 937-600-6717 to set up an appointment or learn more about our mold remediation procedures and other top-quality cleaning services.